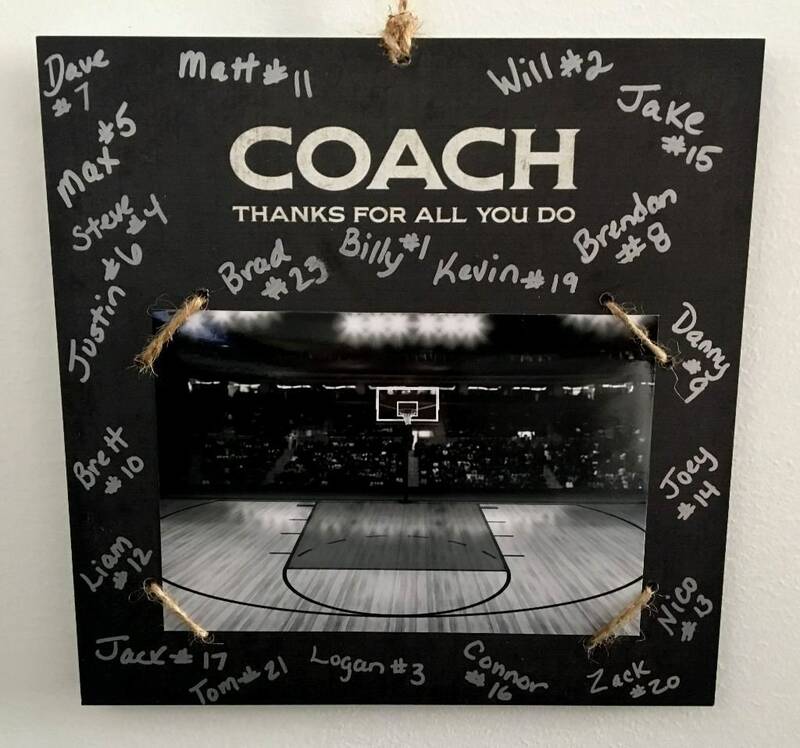 "COACH Thanks for all you do" Photo/Sign - Perfect for gift giving to the coach! Just replace our photo with yours and have the team sign it with the free marker for that personalized touch. Shown with a basketball photo, but this would be a great gift for any coach. Check out our shop for this same item, but shown with baseball, lacrosse, soccer, hockey and football photos. Shipped and received early! 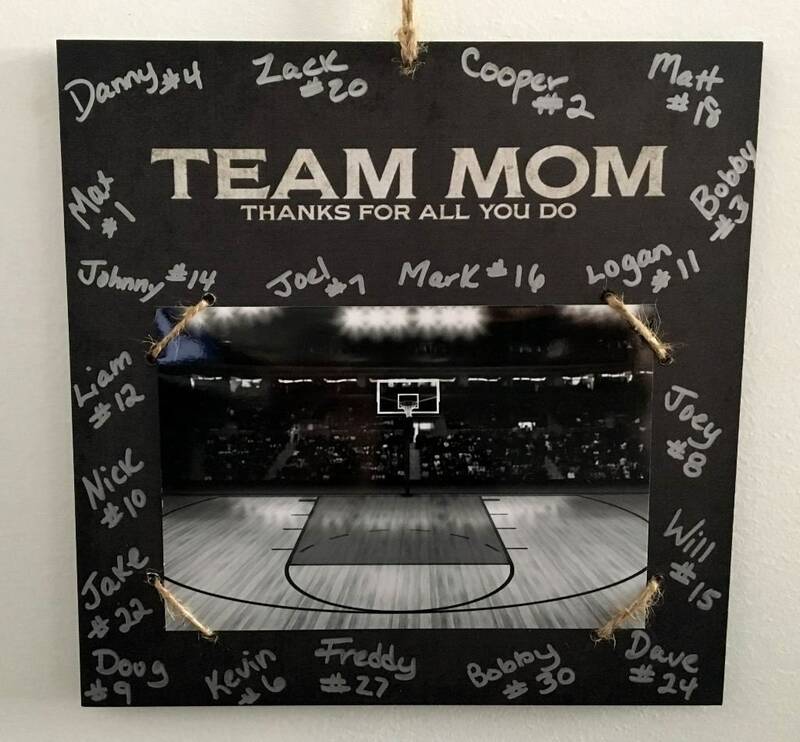 The frame is great, and a perfect gift for my son's coaches. Perfect frame for a coach. Super cute. Incredibly fast service!!!!! Fast shipping and great quality frame! Great product!!! Thank you !! Can’t wsit to hand them out!